Most people that trade currency on the foreign exchange market will never ask anyone for help with their trading. If you are someone that thinks you can learn everything on your own, develop and maintain a successful strategy on your own, and trade successfully on your own, you are limiting your potential drastically. Tiger Woods is arguably the best golf player that’s ever lived, yet he still has a coach. Think about it. He is taking advice from someone with less skill and talent who he can easily beat in a round of golf. He does this because he can elevate his game even more with the help of a coach. I will make a wild assumption here, and assume you are not the very best in the world at forex trading. I will make another wild assumption that you want to be the very best at forex trading. To be the best, you will need to find a coach, a mentor, or whatever you want to call it. 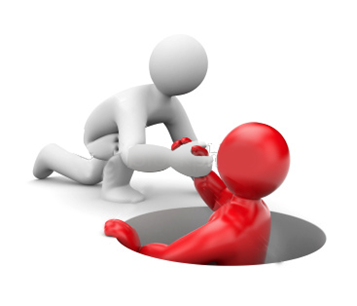 You need someone there to help you along in your journey to becoming the best forex trader you can be. You need a mentor because often we are blind to our own mistakes. I have often heard people criticizing others for things that they do themselves. For example, it is usually the bad drivers that blame everybody else for not knowing how to drive. Don’t be that person. Be humble, and accept the fact that you are not the best (yet) at forex trading, and learn from others. Peak performers have coaches because they WANT to be the best at what they do. If you want to increase your winning percentage and your profits in the forex market, then you should find a coach that will help you develop the skills necessary to get there. Whether you are just starting out in the forex market or you are a veteran trader with lots of year of trading under your belt, I can almost guarantee that you will benefit from finding a mentor. You don’t have to pay thousands of dollars per hour to your mentor. In fact, you shouldn’t. If they are a professional forex mentor, then they are probably not professional traders. Do not fall for scam artists who know next to nothing about currency trading and are merely trying to rip you off. Approach someone that has a proven track record in forex, and invite them to lunch and let them know that you would like to improve your forex trading. Then nicely ask if they will be willing to help you out with your trading. That’s it. It’s that easy. Most people will be so flattered by the request, that they will jump right in and become your mentor. They usually realize that at one point in their trading career, someone had taken the time so that they can get to where they are today. Others might be hesitant and say no. If that’s the case, then move on. You certainly don’t want a mentor that doesn’t want to see you succeed. Meet with your forex mentor at a minimum of once a month with your trading journal in hand to discuss what you have done wrong and how you can get better. What if you don’t know any successful forex traders? In fact, what if the only person you know that trades forex is yourself! Don’t worry. There are lots of people out there that are profitable trading currency. You just haven’t met them yet. Don’t be shy of your chosen profession. Even if you hold down a full time job and trading in your spare time, don’t make the mistake of calling this a hobby. Treat trading like your profession. Don’t be ashamed to tell everybody you know about your trading, and soon enough, you will notice that you are not alone in this field. You will realize that lots of people trade forex either part-time or full-time, and have been making a decent living from it. After talking briefly for a bit, you will realize what whether you are talking to a successful forex trader, or a loser. Your choice of a forex mentor is critical to your success. Choosing a loser will help you become a better loser. On the other hand, choosing a winner will elevate you to the next level and you will see the results in your bank account. A forex mentor will force you to look at your trading habits carefully. Humans have a tendency to remember everything great that we’ve accomplished, and forget all the mistakes that we have ever encountered. Your coach will not let this happen. Your forex coach will show you all your weaknesses in broad daylight. Do not argue and do not defend your decisions. Listen, learn, and adapt. It may be hard to look at own weakness, but it is the only way to grow and improve. The best golfer in the world became who he is today by continually striving to be the best and by being humble enough to know that there is always something he can learn from his coach. If you are not constantly trying to improve on your trading strategies, psychology, and money management, then you will never become a great forex trader. Absorb everything your coach tells you and apply everything he or she suggests. Your coach has become successful not by luck, but by learning from his mistakes and changing. If you are committed to being the best forex trader, and are in it for the long haul, you have to get a forex coach. Looking a good forex trading mentor sometime is very difficult enough. But, we can search this good traders in forex forum too, maybe like forex factory, forex-tsd, forex winner or any others forex forum that we find from google. But, after my experienced almost 7 years in forex trading, there is one parameter that we never forget to get this best forex trading mentor. This one parameter is accuracy from each trades that he or she makes. Because this accuracy signals entry is very very important and have impact to our draw down right ?. And one of my best friend said to me “if you wanna be a successful forex traders, just learning about 3 things. First is zones of strong support resistance levels, secondly is reversal candlestick patterns and the last is strength of pinbar”. The more longest from pinbar its mean the more strong that pinbar to make of rejection. I’ve some of this tips can help us to trade in forex more wisely before we take any decision in our forex trading activity.